Don't want to hear about the infamous "PurpleWedding" in Game of Thrones because you are an episode behind? Install this extension in your Chrome browser. 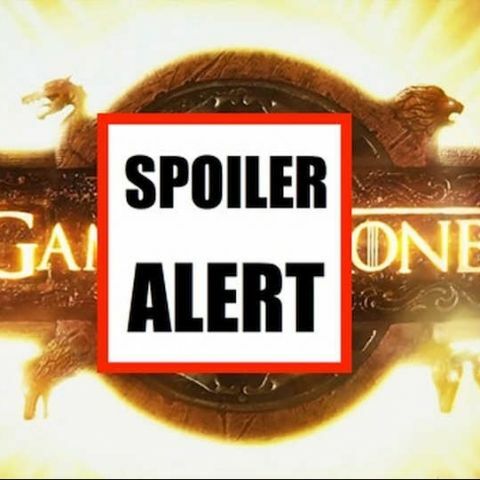 Lot of users are getting annoyed by spoilers of their favorite TV shows on their social media networks. One of the best examples is the recent episode of Game of Thrones which was trending so much on major social networks that users (who were yet to watch it) were left frustrated by the spoilers in their feeds on Facebook and Twitter. Now, to get rid of those spoilers there's a new way out provided you are not a Mozilla Firefox fan. A handy Google Chrome extension has been released called Silencer which lets you block all the spoilers from your Facebook and Twitter feeds. All you need to do is install the extension in your Chrome browser and type in the keywords that you don't want to see in order to avoid any spoilers. You have to be specific when you declare the words that you want to see blocked. Once done, check your feed and all the related status updates or tweets should disappear from your feeds. 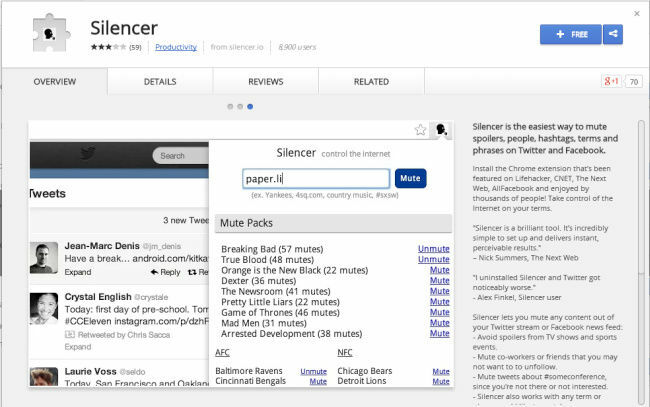 To make it even more easier for you, Silencer gives some handy Mute Packs, which are pre-defined terms related to all the popular TV shows that you might wish to censor. By the logic of it, you can block anything from your social media feeds as you can manually enter words to censor (even your stupid friend's stupid Facebook updates). The description of the extension says, "Silencer is the easiest way to mute spoilers, people, hashtags, terms and phrases on Twitter and Facebook." For now, Silencer works with Facebook and Twitter only. So watch out for spoilers on other social networks. Also read, Game of Thrones sets new torrent piracy download record.